Oddly, when I searched for clipart for “illness” on Google this is what I found on page called Health. I’ve been sent home from church. Not for misbehaving, but because all morning I’ve felt like I was going to be sick. I’ve felt all week that I’ve been fighting some kind of bug, as I’ve had very little energy (which has been more than just the late nights). This morning it hit me. I arrived, delivered the papers for the AGM today and then left. Now the quandry: do I continue to work on my presentation tonight on the off-chance that I’ll be feeling better by six-thirty, or do I go to bed? 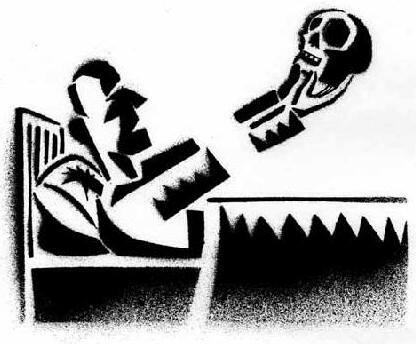 With or without an extra skull. Screenshot of the Write panel in WordPress 2.0 Beta 1. 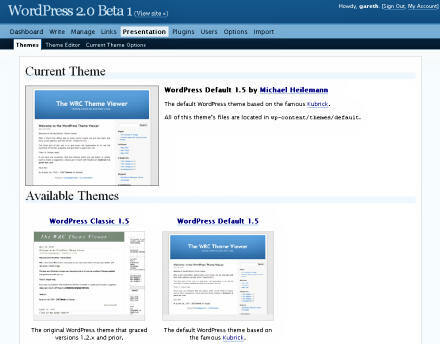 Thanks to Digg.com I discovered that WordPress 2.0 Beta 1 has been released. 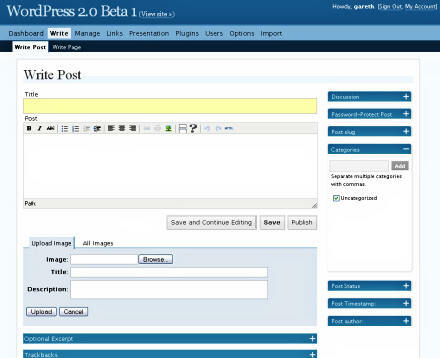 I didn’t hesitate to download it and upload it to my website: WordPress 2.0 Beta 1 demo. From the visitor’s point-of-view it appears that nothing has changed, it still sports the default WordPress theme based on the famous Kubrick. 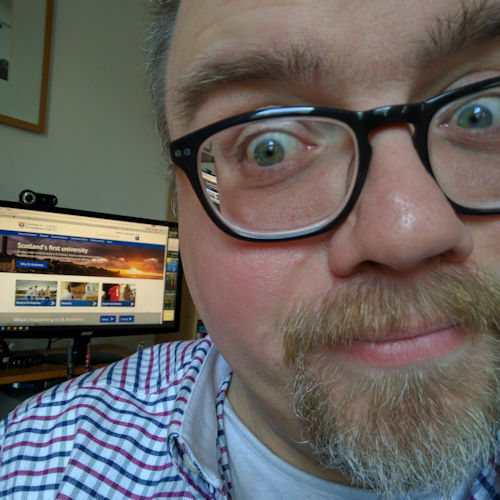 But behind the scenes the admin section has been dramatically overhauled and upgraded; although to be fair I’m not terribly keen on the great blueness, I rather like the unassuming greyness that is the admin of WordPress 1.5.x. The Write panel is now much more user-friendly, especially for less technically-able users. Quicktags are by default replaced with a WYSIWYG editor similar to that of your wordprocessor, although this can be turned off in Options for users who prefer inserting XHTML tags. Like me! You can now Upload an image from within the Write panel, which is a great improvement. And thumbnail images can now be dragged from the upload section onto your post. Categories can also be added from within the Post panel, which is a great user-friendly update. The various other bits-and-pieces have been moved to the right-hand sidebar in WordPress 2.0 accessed by clicking on the appropriate section’s ‘+’ to open it: Discussion, Password-Protect Post, Post slug, Categories, Post Status, Post Timestamp and Post author. The result is a much cleaner and simpler interface. Another major update appears in the Presentation section which now shows a preview of the themes installed (below). There is also a new “Current Theme Options” panel that allows you to visually tweak the current theme allowing for more flexibility. The Users panel has also been improved separating Name, Contact Info, About Yourself and Password sections of the form making it much quicker to manage. The Permalinks section of the Options panel has been improved, making it easier to chose a format for your links. The default is the PHP-tastic: “?p=123”. Or chose from “Date and name based”, “Numeric” or build your own customized structure. Recognising that a lot of bloggers coming to WordPress may already have a Blogger account there is now an option to import you current Blogger account posts and comments into WordPress. Brilliant! It’s the little touches that make all the difference, and something that I just love is the user feedback messages that WordPress gives you when you activate or deactivate plugins, or update any options. The coloured box surrounding the message, eg “Options saved” gradually turns from yellow to green to blue. Simple but quite special. but that’s a small matter. Overall I’m very impressed.